Increase the value of your home by adding a new paver patio, seating wall or outdoor room to your yard. With a customized plan using 3-Dimensional images created by our experienced, certified designers, you can visualize how your paver project will transform your property into an entertainment paradise, a place that is uniquely yours. The hardscaping process is very similar to our landscape design process. 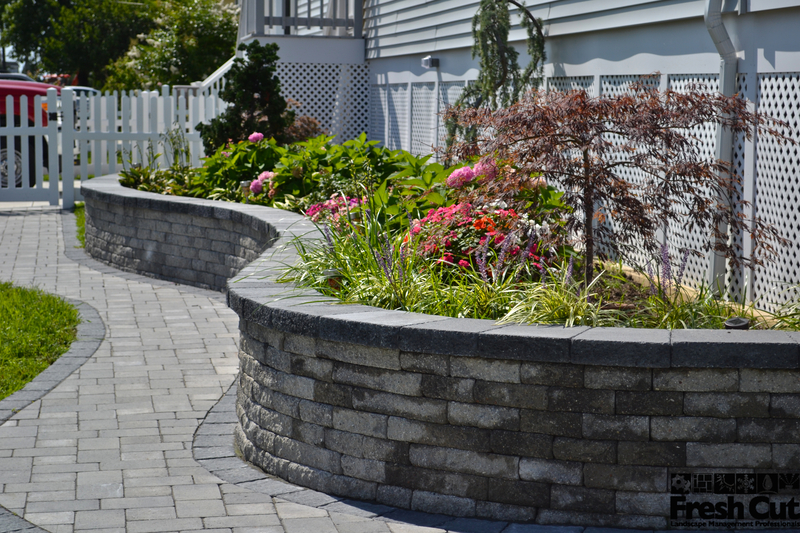 To begin, certified designer will survey your property to determine how we can make the most of the allotted space while consulting with you to be sure the new hardscaping project will fit your needs. After doing the initial survey and consultation, our designers will create a computer generated graphic to be super-imposed on an image of your property. These conceptual designs will allow you to visualize the transformation that the new hardscaping will have on your property. After finalizing the designs at your approval, our specialized hardscape installation crew will break ground within an agreed-upon timeframe. From here the length depends on the size of the job, however you can be sure that our team will show up day after day until the job is complete. You can be sure that Fresh Cut will deal with your needs in a swift and professional manner.